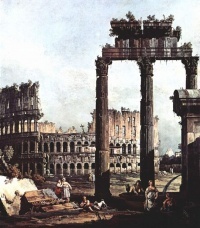 This page Cultural history is part of the Ancient Rome series. Cultural history, at least in its common definition since the 1970s, often combines the approaches of anthropology and history to look at popular cultural traditions and cultural interpretations of historical experience. It overlaps in its approaches with the French movements of histoire des mentalités (Philippe Poirrier, 2004) and the so-called new history, and in the U.S. it is closely associated with the field of American studies. As originally conceived and practiced by 19th Century Swiss historian Jacob Burckhardt with regard to the Italian Renaissance, cultural history was oriented to the study of a particular historial period in its entirety, with regard not only for its painting, sculpture and architecture, but for the economic basis underpinning society, and the social institutions of its daily life as well. Most often the focus is on phenomena shared by non-elite groups in a society, such as: carnival, festival, and public rituals; performance traditions of tale, epic, and other verbal forms; cultural evolutions in human relations (ideas, sciences, arts, techniques); and cultural expressions of social movements such as nationalism. Also examines main historical concepts as power, ideology, class, culture, cultural identity, attitude, race, perception and new historical methods as narration of body. Many studies consider adaptations of traditional culture to mass media (tv, radio, newspapers, magazines, posters, etc. ), from print to film and, now, to the Internet (culture of capitalism). Its modern approaches come from art history, annales, marxist school, microhistory and new cultural history. Cultural history overlaps in its approaches with the French movements of histoire des mentalités (Philippe Poirrier, 2004) and the so-called new history, and in the U.S. it is closely associated with the field of American studies. As originally conceived and practiced by 19th Century Swiss historian Jakob Burckhardt with regard to the Italian Renaissance, cultural history was oriented to the study of a particular historical period in its entirety, with regard not only for its painting, sculpture and architecture, but for the economic basis underpinning society, and the social institutions of its daily life as well. An area where new-style cultural history is often pointed to as being almost a paradigm is the 'revisionist' history of the French Revolution, dated somewhere since François Furet's massively influential 1978 essay Interpreting the French Revolution. The 'revisionist interpretation' is often characterised as replacing the allegedly dominant, allegedly Marxist, 'social interpretation' which say the causes of the Revolution in class dynamics. The revisionist approach has tended to put more emphasis on 'political culture'. Reading ideas of political culture through Habermas' conception of the public sphere, historians of the Revolution in the past few decades have looked at the role and position of cultural themes such as gender, ritual, and ideology in the context of pre-revolutionary French political culture. Cultural studies is an academic discipline popular among a diverse group of scholars. It combines political economy, communication, sociology, social theory, literary theory, media theory, film/video studies, cultural anthropology, philosophy, museum studies and art history/criticism to study cultural phenomena in various societies. Cultural studies researchers often concentrate on how a particular phenomenon relates to matters of ideology, nationality, ethnicity, social class, and/or gender. The term was coined by Richard Hoggart in 1964 when he founded the Birmingham Centre for Contemporary Cultural Studies. It has since become strongly associated with Stuart Hall, who succeeded Hoggart as Director. Unless indicated otherwise, the text in this article is either based on Wikipedia article "Cultural history" or another language Wikipedia page thereof used under the terms of the GNU Free Documentation License; or on original research by Jahsonic and friends. See Art and Popular Culture's copyright notice. This page was last modified 10:44, 17 November 2013.